If you need assistance in choosing your accommodation out of the list below or would like to make a reservation, feel free to contact us. Please tell the hotels: “I found you on adatourism.com”. Aqua Safari is located in Big Ada. Its aim is to offer tranquility and peace for all of our welcoming guests whilst providing a variety of world-class hospitality services and being a favourit location for day rips, short get-aways, company retreats and familiy vacations. Their fun agenda offers you: Paddle boats, Speed boats, Jet ski, live music, karaoke and horse riding. Emmanuel Guest House is built to cater for locals people, who mostly patronage the community for funerals and other activities like festivals. With sixteen basic rooms, it is located along the Kasseh to Ada main road, close to Sanakey korpe junction. Some of the rooms are self contained without Air-condition but fix with fan only. Home Lodge is a newly constructed facility with 8 beautiful rooms, located in nice garden, 100m from the local community radio station in Big Ada. All rooms are fix with fan and Air-condition, and a common sitting space and fridge usually fill with water and drinks for all guest. Kemmat Hotel is a newly constructed hotel with a total of 30 fully furnished rooms with fans, air-conditions, TVs and small table top fridges. Besides, it is a serene place with GYM, pool table, bar, restaurant and a night club. Located, just 30m after the local community radio station. The Mr. Fierty Guest House is located in Big Ada, it is in close proximity to the local community radio station. The guest house has a big garden with numerous palmnut trees which provides shade for the drinking of beverages. Local dishes can be served to the guest house by a belonging restaurant nearby, too. 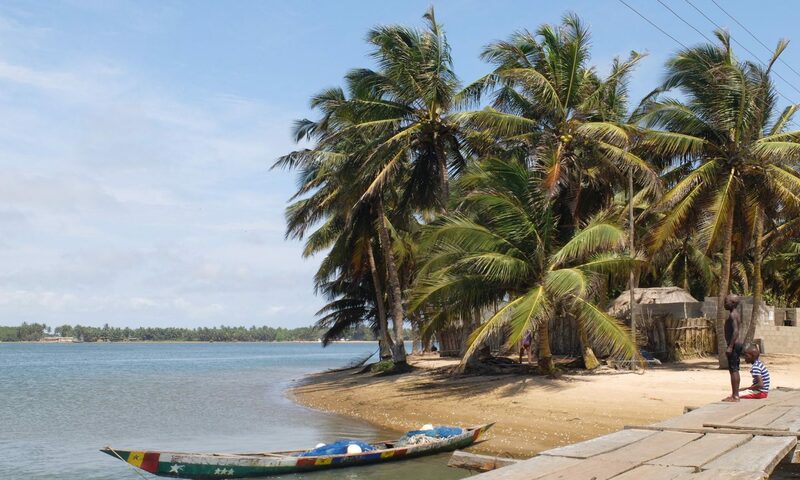 This accomodation is also known as “tami” which means “palmnut trees” and it owes it’s name to the large number of them on the compound. Pilolo Guest House newly and nicely built to cater for both locals and foreign tourist. It has 7 rooms, all fix with own bath, Air-condition, fan, TV, and fridge. There is a bar where guest could enjoy a cool drink or water. Situated at the entrance of Gome along the Kasseh to Ada main road after Sanakey korpe junction. Sam-lat Guest house is located at Techonya, Big Ada. Being one of the newest in Ada, Sam-Lat offers serene environment with 9 standard roooms. Ideal place for your group visit and vacations with easy access. Bar services and conference facilities coming soon. All Accommodation at the Ada Region you can find here.